During an event in the University of Naples, Carlo Ancelotti revealed that Cristiano Ronaldo is not the prima donna that everybody thinks in the dressing room. Carlo Ancelotti lived a great time during the time in which he managed Cristiano Ronaldo, the Italian manager has coached many incredible players but CR7 is by far the best he’s ever managed. The nearly two years that the two football legends shared time together, were good enough to finally break the curse of not winning the Champions League since 2002 and both Carletto and Ronaldo were essential parts of this conquest. Now that the Portuguese player is proving that he is still one of the greats in Italian football, it’s only natural that the press tends to ask Ancelotti about his time coaching him and about his personality. The Italian manager is currently trying to keep Napoli relevant against the powerful Juventus, an Italian giant that has won a staggering seven consecutive Serie A titles and seems to be going for the eighth Scudetto this season now that Ronaldo is playing on their side. When his squad faced Juventus earlier this season in Serie A, it was a stellar performance by Cristiano Ronaldo what gave the victory to the Bianconeri. The Italian manager attended the University of Naples for a lecture this Tuesday, where he discussed several topics related to his new job as the Napoli manager. The Italian spoke in depth about the difficulties that are presenting during his first year as the boss, he believes that despite not winning any Serie A titles in recent memory, Napoli has actually built a winning project that cannot really compete against the massive projects that other clubs in European football have. 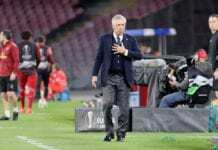 But despite the honest answer about Napoli’s inability to win trophies, Carlo Ancelotti remains hopeful that he can help the club win a Serie A title very soon due to his experience in the area. 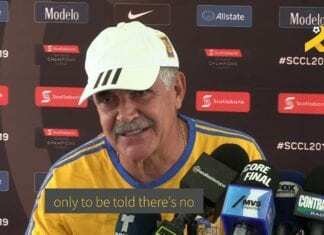 But by far the most interesting topic he discussed was the competition that “smaller” clubs have against the bigger institutions, specifically when it comes to signing the most talented players such as Lionel Messi or Cristiano Ronaldo. He was questioned about Ronaldo’s fame of being a “prima donna”, something that Ancelotti doesn’t see. “First of all, what do you understand when you hear the term “prima donna”?” said Carlo via La Repubblica. “A manager needs to know how to keep the balance with those players by telling the one who is selfish that sharing is important and vice-versa,” he added. “When it comes to competing against the bigger squads on the market, we have to say that there are three major voices in the biggers squads that have a major impact in the business side of things: TV rights, sponsors, and the people who actually own the players,” continued Ancelotti. “Bayern has a packed stadium all the time and the sell 30k liters of beer per match, this obviously affects taxing. Everything that gets consumed will obviously get affected by victories, but sometimes it’s not enough,” he concluded. What do you think about Carlo Ancelotti’s analysis of Cristiano Ronaldo’s fame of being a “prima donna”? Please share your opinion in the comment section down below.